Soreide Law Group represents candidates for admission to the Florida Bar and attorneys before the Florida Bar Grievance Committee. We represent candidates in investigatory and formal hearings conducted by the Florida Board of Bar Examiners. We also provide bar application review services. At our firm you dont deal with legal secretaries or paralegals, you deal only with lawyers who will be with you through every step of this process. We offer competitive rates and discounts for current law students. We represent candidates for admissions at hearing locations throughout the state of Florida. 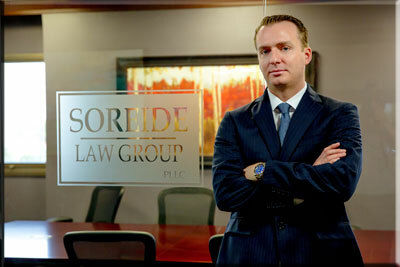 Mr. Soreide has successfully represented over 100+ bar applicants. Some may ask why have a lawyer represent me at my investigative hearing? A lawyer will be able to object to the Boards questioning, admit evidence on your behalf and advise you during the hearing if you are asked a question you feel you do not know how to adequately answer. We will also prep you for the questioning and have you gather the relevant documentation that the Board may require of you. This is a serious matter and having representation goes to further show the Board you are not taking this matter lightly. We offer a $99 bar application review with no additional costs. If you are called in for an investigative hearing after our review and you retain our services the $99 will be credited back to your account. We offer flexible payment plans for students and competitive low rates. We also offer a $199 background check which we recommend before applying to the Florida Bar. We offer both the background check and the application review for $249. We will credit this back to you in the event you have a formal hearing and hire us to represent you. Mr. Soreide speaks annually to the incoming class at St. Thomas University School of Law’s Distinguished Speaker Series to discuss topics before the student body concerning applying to the bar, background checks, and what to expect in an informal and formal hearings before the Florida Board of Bar Examiners. Mr. Lars Soreide has been invited to discuss before various different law student organizations and classes: problems applicants face before the Board of Bar Examiners such as credit card debt, bankruptcy, foreclosure, short sales, student loans and overall financial responsibility along with strategies for formally documenting a record of rehabilitation and how to work with your creditors was also discussed.